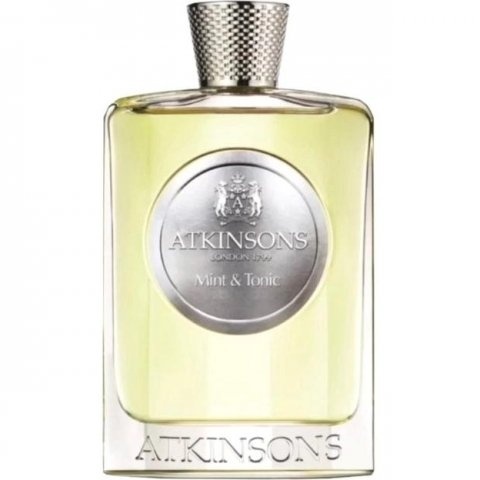 The Contemporary Collection - Mint & Tonic is a new perfume by Atkinsons for women and men and was released in 2018. The scent is green-woody. It is being marketed by Perfume Holding. A mythological figure whose image has been decisively influenced by a single representation - and this is not necessarily only advantageous - is that of the Valkyrie. Thanks to Richard Wagner's interpretation - and especially thanks to his famous Valkyrie ride (unforgotten in Francis Ford Coppola's anti-war film 'Apocalypse Now', in which the napalm bombing of Vietnam with helicopters is 'accompanied' by this Valkyrie ride) - the Valkyrie is occupied as mighty, booming and terrifying. One thinks of giant, blond, braided women with horn-reinforced helmets and iron braces, who listen to such lyrical names as Helmwige or Schwertleite. If I should add a scent to this Wagnerian Valkyrie, it would have to be a squadron like Black Afgano, Youth Dew or Alien, persevering and brute like a war galley. In fact, in Nordic mythology, the Valkyries were female spirits in Odin's entourage who chose the bravest and most honourable of the fallen warriors - called 'Einherjer' - from the battlefield, picked them up and led them to Walhall. The Vikings believed that northern lights must be the reflection of the moon on the armour of the shield young riding through Midgard. These Valkyries were ethereal and cool creatures in pale or bluish robes and rode on white war horses. They were often depicted with winged helmets - and not with horned ones, as Wagner did. Such a ghostly apparition is accompanied by a scent that is as spherical and cool as it is - but not fresh or even cheerful - this Valkyrie fits someone like Atkinsons' Mint & Tonic. Remarkable - although not intrusive - is already the top note. Only a few cool top notes manage to get by without a pointed citric component (no matter what grapefruit, lime and mandarin may say - they're all there, but they don't shape the fragrance) and at the same time not be metallic. Mint & Tonic is reserved and balanced right from the start - those who expected a party-suited cocktail or long drink scent might find this disappointing. I also perceive a - dimmed - medicine-like chord (the fine pungency of ginger) - also of medium strength at most - and finally a diffuse and yet comforting warmth - like the warm breath of the Walküre with its wings, as she gently lifts the Einherjer from the battlefield and carries it on the back of her white horse to Walhall. Conclusion: one of the Valkyries mentioned in the Lieder-Edda Grímnismál is Reginleifr. The Pre-Raphaelite Edward Robert Hughes painted it ethereally beautiful in his 'Night's Watch of the Valkyrie', sitting on a wall holding the wing helmet in her arms - and smelling very fine and quietly of Atkinsons' Mint & Tonic. Write the first Review for The Contemporary Collection - Mint & Tonic!